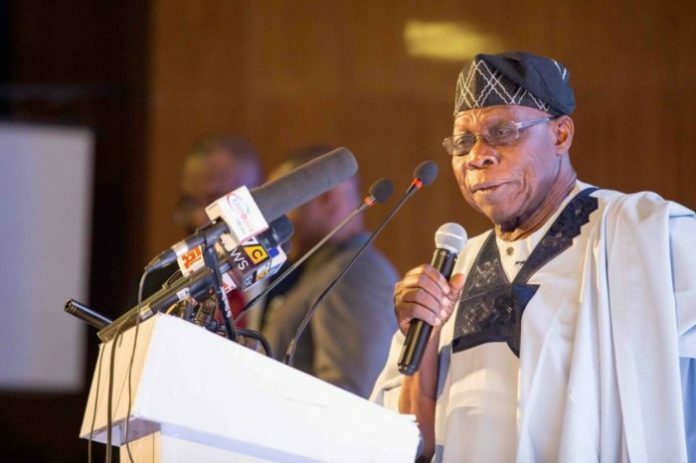 Former President Olusegun Obasanjo has appealed for the support of people of goodwill across party lines to help in building Nigeria and making the country greater. Obasanjo also called for a strong voice and action from the opposition parties to to save the nation’s democracy. He made the call on Monday when members of the opposition Peoples Democratic Party (PDP) from the south-west visited him in Abeokuta. “Nigeria needs a vibrant voice and opposition with a view to building a virile democracy,’’ he said. Obasanjo asked the leadership of the PDP to purge itself of “bad eggs and hypocrites” who he said lacked commitment to returning the opposition party to its lost glory. Many leaders of PDP were after “their pockets and stomach” he said and wondered why some top echelon left the party while others had lost hope shortly after the result of the 2019 presidential election was announced. “I knew PDP would lose the election in 2015 because it was clear, and I knew PDP will need to be rebuilt after losing the election,” he said. Those at the meeting include Senate Minority Leader, Biodun Olujimi; former Osun State Governor, Olagunsoye Oyinlola; and former Minister for State for Defence, Olusola Obada.